In Association with #hellomynameis and the Leeds Cares Charity. See the fantastic range of products available to purchase in our shop. 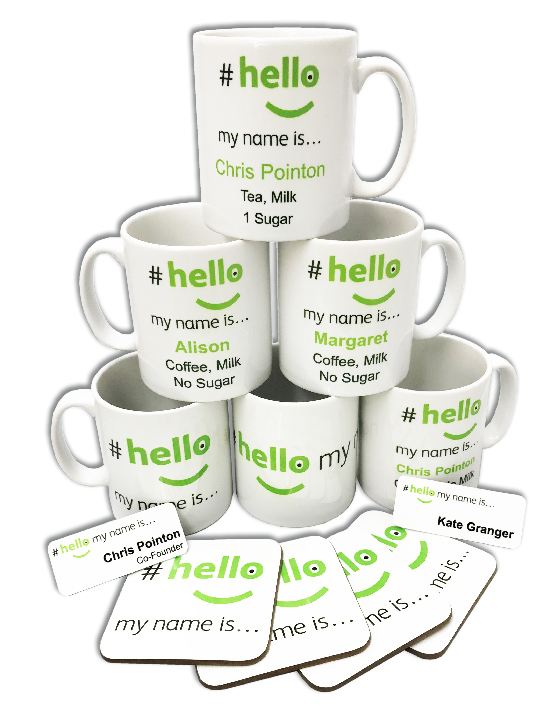 In August 2013, Kate Granger and Chris Pointon started the incredible #hellomynameis campaign, click here to visit the official site and find out more. A donation is made to the Leeds Cares Charity, the chosen charity of Kate Granger and Chris Pointon. Who we are, and how we became involved with hellomynameis. Hello, we are Abalone Graphics Ltd, a UK producer of promotional products and specialist manufacturer of Magnetic Name Badges. 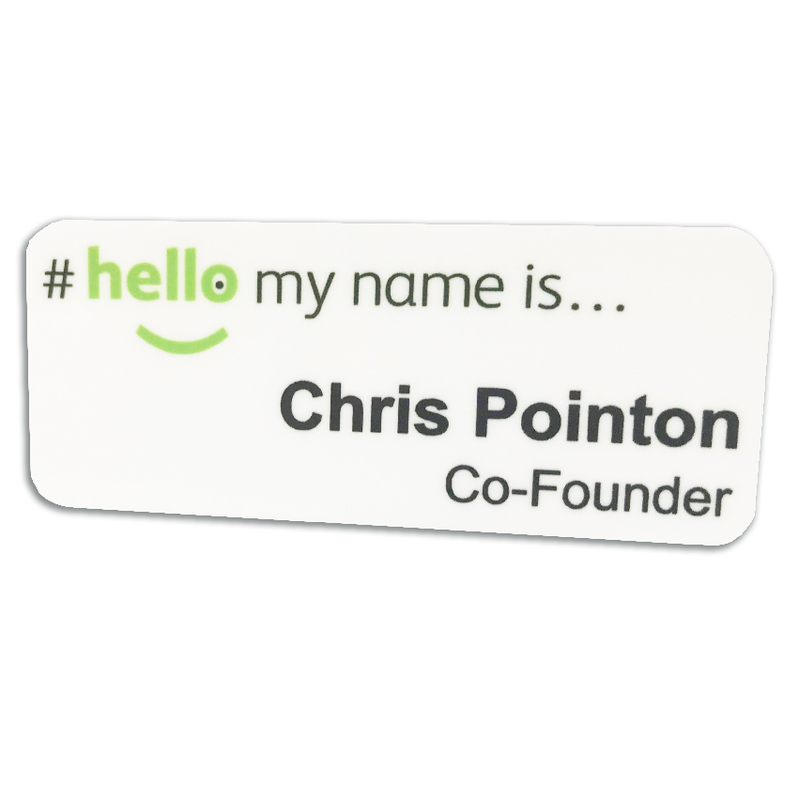 We first became aware of #hellomynameis.. in late 2014, when we noticed several requests for our name badges, all featuring a new rather striking logo. Initially, we assumed this logo must be part of a new NHS branding exercise, and so we decided to delve a little further. 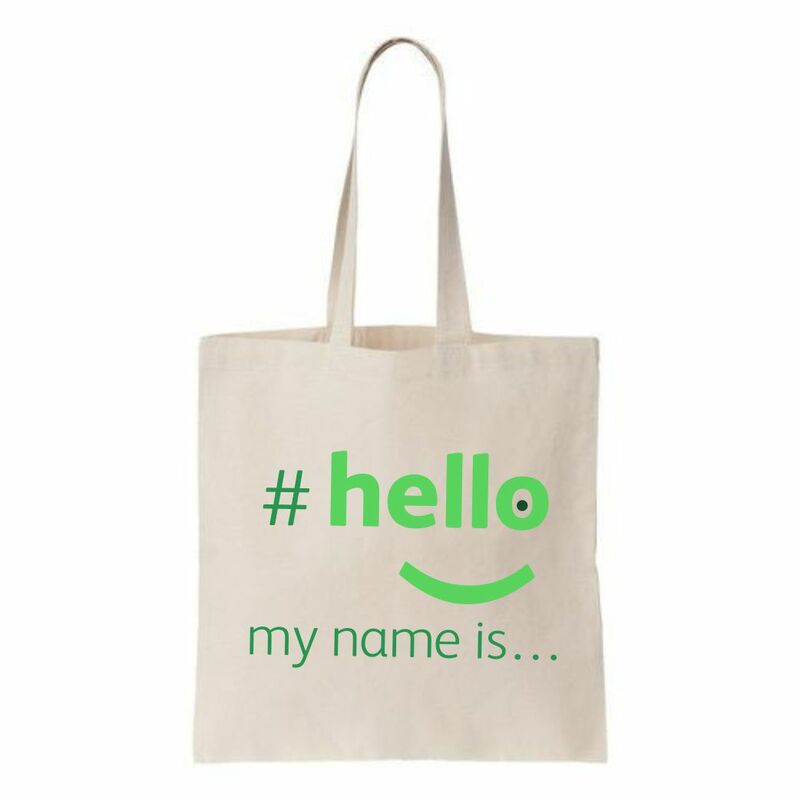 This new logo, was obviously the now the unmistakable #hellomynameis… logo and our investigations lead us, not to the NHS, but to the remarkable Kate Granger and Chris Pointon, founders of incredible #hellomynameis campaign. Realising what a fantastic initiative this was, we contacted Kate, asking if we could promote the campaign on our website. Kate responded to say she was happy for us to do this, and would add us as an official supplier on the hello my name is website. Further to this we also agreed to support the official hellomynameis charity of choice, making a donation for every #hellomynameis badge sold. The phenomenal success of the #hellomynameis campaign, is entirely down to the tireless work of Kate Granger and now Chris Pointon, and all the incredible healthcare practices and professionals that have embraced it. We feel extremely privileged to have been involved in a very small way, and continue to support both #hellomynameis and the Yorkshire Cancer Centre now known as Leeds Cares. 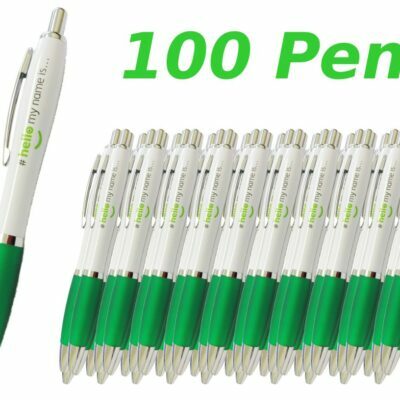 This website is dedicated to a range of #hellomynameis.. products and as agreed with Chris Pointon for every product sold we will make a donation to the Leeds Cares Charity formally known as The Yorkshire Cancer Centre, details of the amount can be seen on the individual product pages.